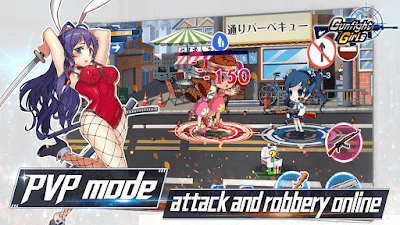 Gunfight Girls is an arcade shooting action game, collect the character, guns, cloth to customize your own anima girl to survival in crisis. Dream to join a movie episode? Now you can experiences surviving from zombies clash, or ride boss of film with a exciting gun fight by yourself. 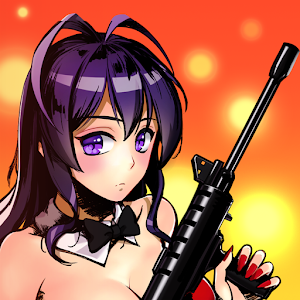 There’re hundreds of weapons and armors for pick up, arm your moe girl and join the combat of movie. You may survival in zombie world, or shooting the cloned solider in the spaceship. You will unlock rifle, machine gun, katana, light saber, shot gun, chainsaw, sniper gun, cannon… any weapon you could image. And dong forget to dress up your girls, there are Sailor suit, Office suit, Bunny suit, and so on. Customizate by you will! Now have 8 stages form different movie, dozens levels for challenge. Enjoy the battle from ruined high school to space station. Relive the epic scene of gun fighting movies. PVP feature will be available soon, build and run your treasure vault and raid other players, survival in ruin and win! 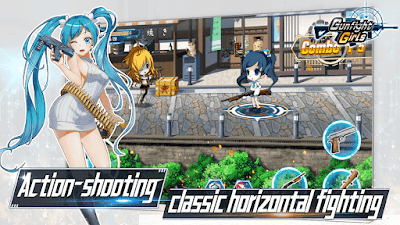 The classic arcade mode, simple to play, still have challenge to win, you will meet dozens type of enemy, from zombie girl to war robot. Choose the right tactics to deal with different enemies. Seven girls with different personality and skill, chosen them carefully to different stage, make your combat more fun and moe. 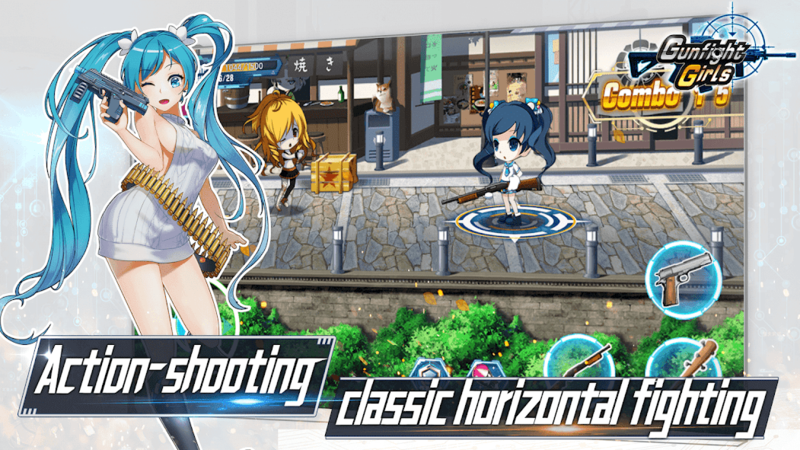 Gun or Blade, Bullet or Laser, you build a nijia girl or sniper shooter, beaten the enemy by your way! Cloth, Weapon, Character, could be upgraded all-around, pick the way you want and make your own build. Now you fight alone no more! Pick a servant to help you, Ancient Knight, Combat Robot or Super human. Fight side by side with the movie star! Zombie and Robot just are piece of cake.